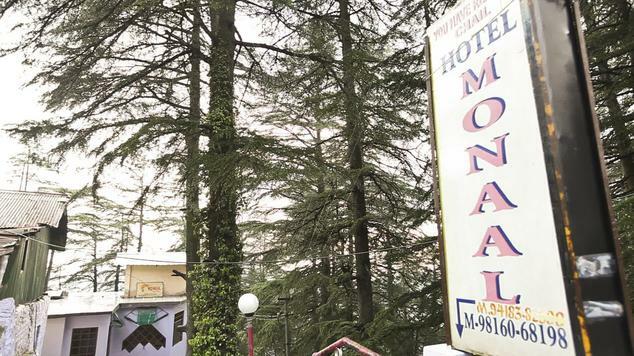 Hotel Monaal is located near the Chail market of this beautiful city of Chail. The hotel is just 100 meters away from the post office and the bus stand. 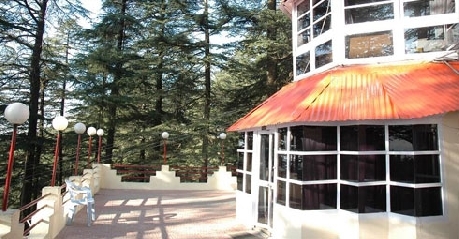 The hotel is 45 kms away from Shimla and 22 kms away from Kurfi. This 15 year old property offers 12 rooms and all of them are furnished and appointed with all necessary facilities. The hotel has its own restaurant which serves from 7.30 am to 10.30 pm. For indoor recreation the hotel is equipped with a library and there also bonfire and camping facilities arranged by the hotel. Other facilities of this hotel are a barbecue, travel desk, power backup, library, front desk and round the clock room service. The deluxe rooms are the economy rooms of the hotel and come with a wooden double bed, which is ideal for two people to enjoy a good night sleep. The mini bar and tea/coffee maker are provided in all the rooms to keep the beverages handy for their guests. The attached private bathroom has a rain shower cubical and the other required bathroom toiletries. 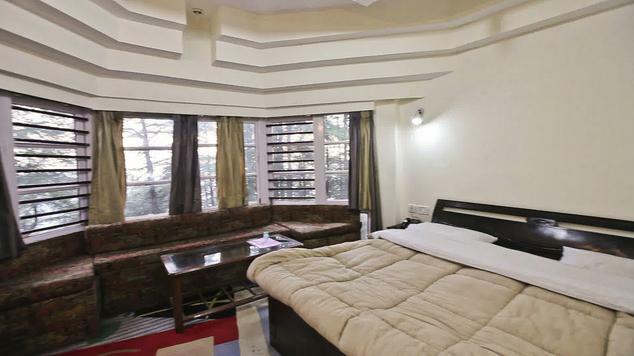 Other amenities include safe deposit box, air conditioning, ceiling fan and a Color LCD TV. The suites are the most spacious and luxurious living option of the hotel and are ideal for the people who are travelling with their family. 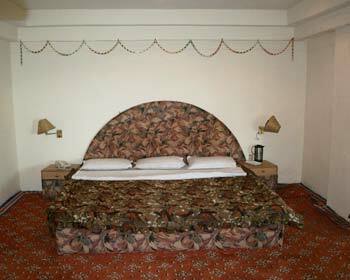 The suite also has a large king size bed which has been decorated with neat and clean linens. The room has a couple of well cushioned chairs and a glass top center table. The work desk is arranged with some night lamps and stationary items. The whole suite has been decorated only using wood and this imparts a unique look to the rooms. Other amenities of this hotel include an electronic safe, tea or coffee maker, a mini bar, LCD Television, internet Wi-Fi access and work desk. 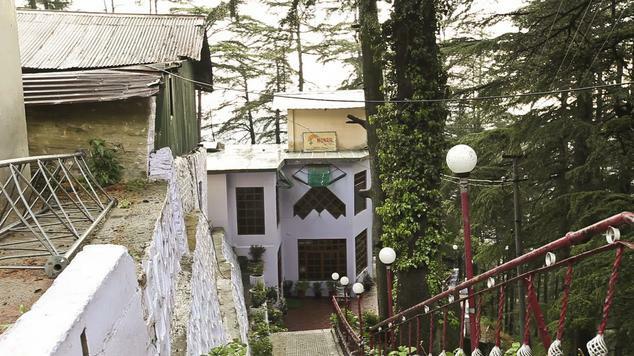 The Cottages of the hotel offer the best living experience and this experience is very unique for the people who have been travelling only into the hotel made of concrete and glass. 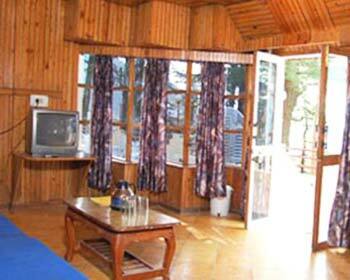 The cottages offer one a beautiful view of the city of Shimla and are ideal for a honeymoon couple. 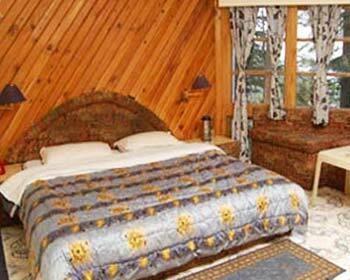 The cottage has two bedrooms and each comes with a large king size bed, decorated beautifully with rich and clean fabrics. The private bathroom comes with a deep soaking abut tub and the required bathroom toiletries. The color TV acts as a good source of entertainment with its range of premium channels. 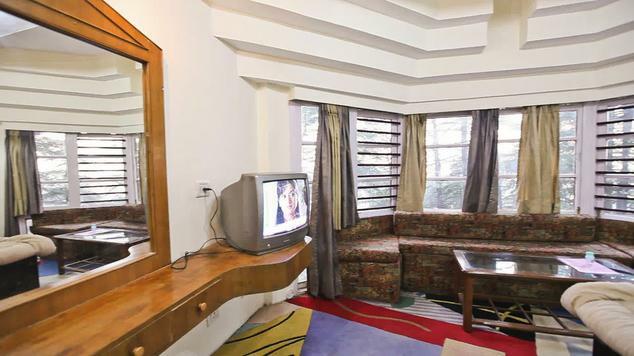 Other amenities of the room include 24 hour supply of hot and cold water, a tea or coffee maker, 24 hour room service, air conditioning, private bathroom and a color TV. The hotel has its own restaurant which has been located at the lobby. The restaurant has been very elegantly designed and offers the perfect place for a couple to enjoy a private and cozy meal. 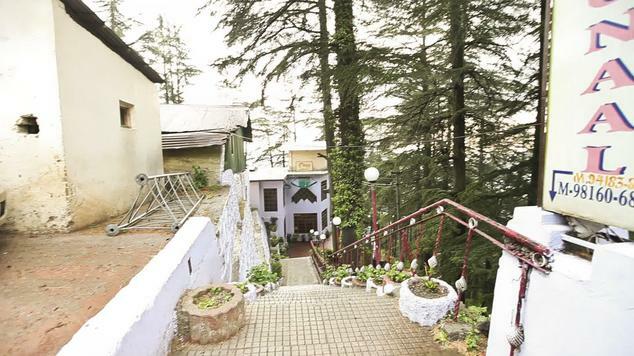 The place offers Indian, Chinese and continental delicacies.